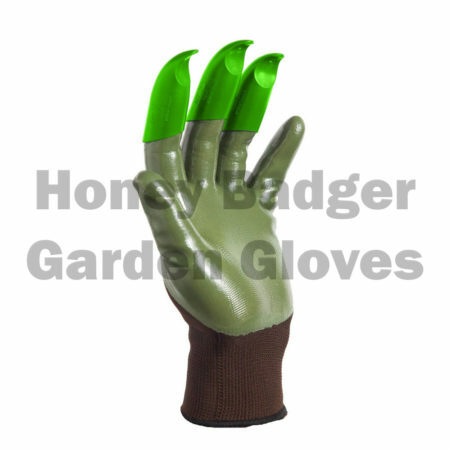 The Honey Badger Garden Gloves – Worth the Price? Some things in life you just have to learn by experience. Most people I know have had the experience of finding a ‘would- be’ bargain, only to find that the item was not really a deal at all. It happens with household item, cars, shoes… Either it is poorly designed, the materials used are not the best… any of dozens of reasons for disappointment arise after the fact. I – like everyone love a good deal and cherish those bargains, but truth be told, sometimes it’s actually a better value to pay more for an overall better product. 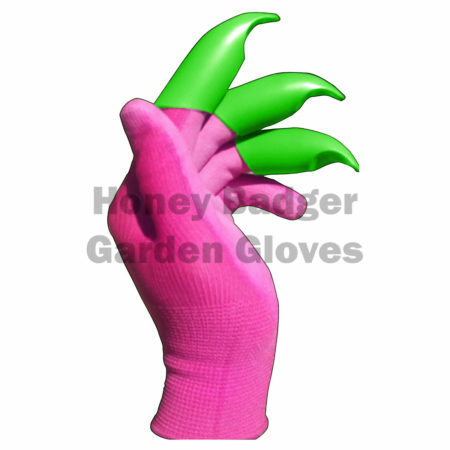 With that in mind, I’d like to make a comparison with new gardening gloves that are being offered at a discount through Amazon.com . 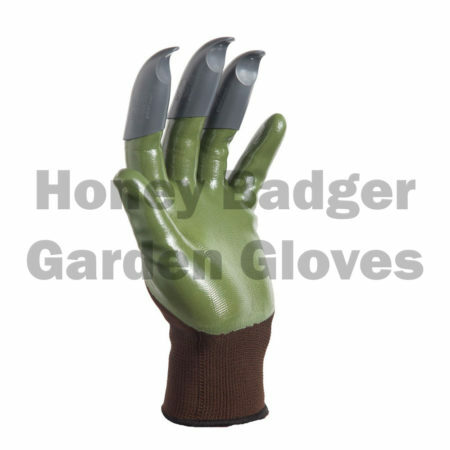 It’s called the Honey Badger Garden Glove. 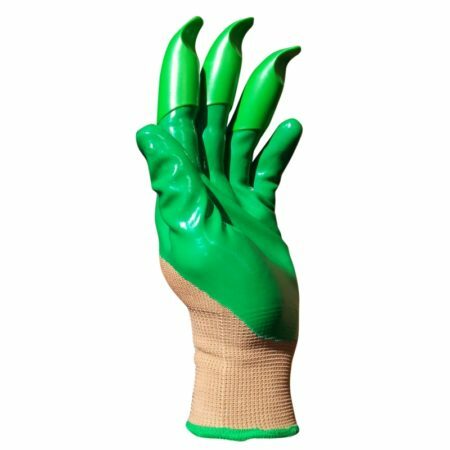 This is a game changer in the development of women’s garden gloves, here’s why: It has recycled plastic claws, which solves the problem of the fingertips wearing out. 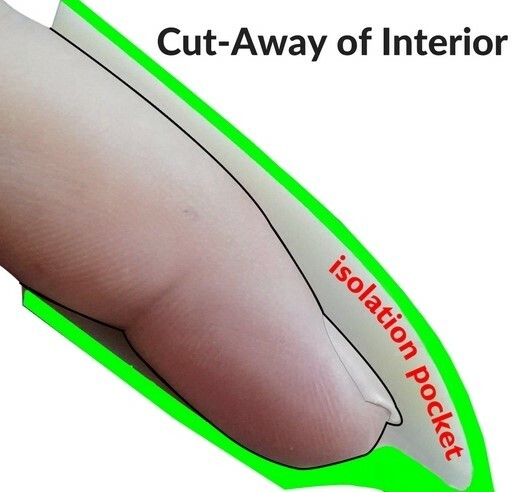 As well as a pocket that protects the fingernails of the user. We all use tools when gardening and often leave them behind when working in the garden. Though it can’t replace a spade or trowel, it comes in very handy to manipulate the soil, a perfect tool for light gardening. 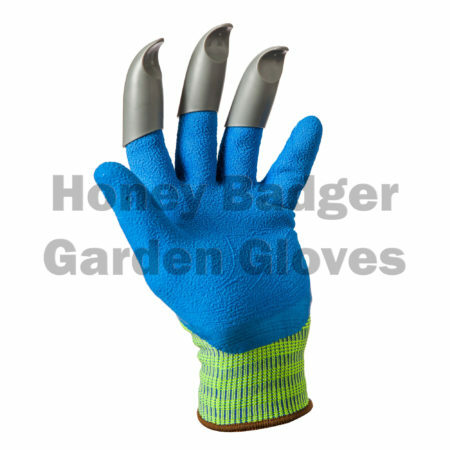 When Compared to the leading brands of gardening gloves this feature alone is a money saver as well as making your work more effortless. Stress on the fingers is a legitimate concern when gardening. 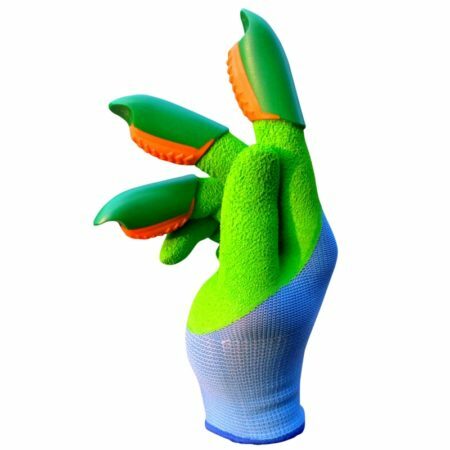 During the testing of the prototype phase it was discovered that the shape of the claws ( Tooling features ) reduces stress on the extremities of the fingers by leveraging the stronger articulations of the finger. This is a completely different approach to glove design than we have seen till now. It uses Patent Pending technology to provide leverage and they’re in talks with the Arthritis Foundation for “Ease of Use” Certification. This feature is above the bar set by leading competitors of the market standards and not considered by other glove manufacturers. 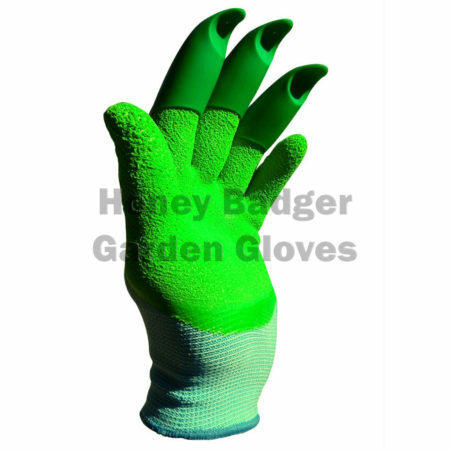 The average gardener typically uses 3 -5 pairs of regular gardening gloves within a season ( 50 hrs. ). 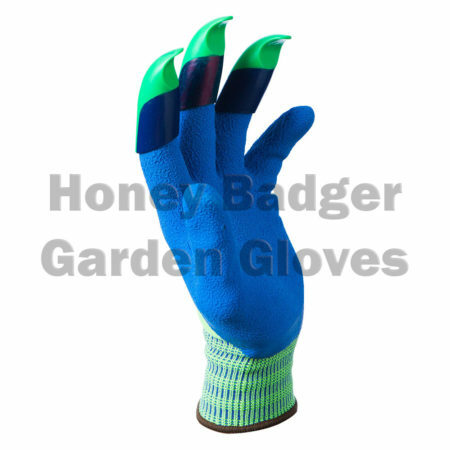 The Honey Badger Garden Glove will last around 200 Hrs. of regular use. A significant improvement in value. “The Question we asked ourselves was: How do we incorporate tooling features into a safety glove without compromising any of their respective characteristics? We came up with a glove that has proven to be the IDEAL BALANCE between a Tool and a Safety Glove. It allows the user to use more of the applied energy effectively. More work is done with the same energy input. Similar to the comparison of walking vs. cycling. •	The ergonomic design follows form and function and makes it comfortable while leveraging your strength, effectively using your energy more efficiently. •	The Styling of the glove is sleek and looks great. •	The bright colors make it easy to find if you’ve left them in the yard. •	High Visibility Colors are easy to see if left in the garden. 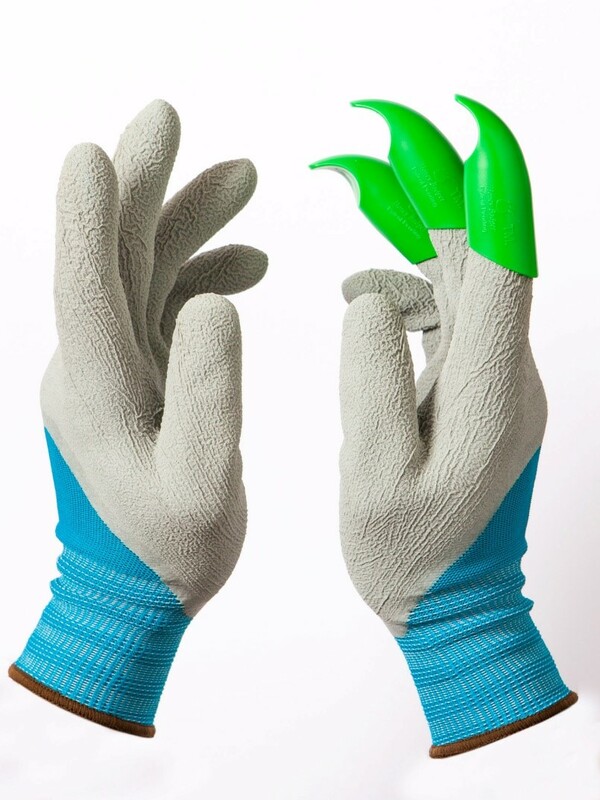 •	Claws can be purchased separately to upcycle ( Reuse ) your own worn out gloves. •	Made with Recycled durable plastic & Eco-Friendly Adhesives. The overall value of a product is the sum of the parts when it comes to comparison shopping . When you compare features at face value, it becomes clear whether a product is designed for consumption or longevity. Quality, Design philosophy, ease of use and durability are the values that often outweigh price alone. Besides, they make excellent gifts for gardeners.